Body is Kunin Plush Felt. Coat and appliques made of felt. Hat and pants are from flannel. Doll is adorned with stars and buttons. Easy to make. 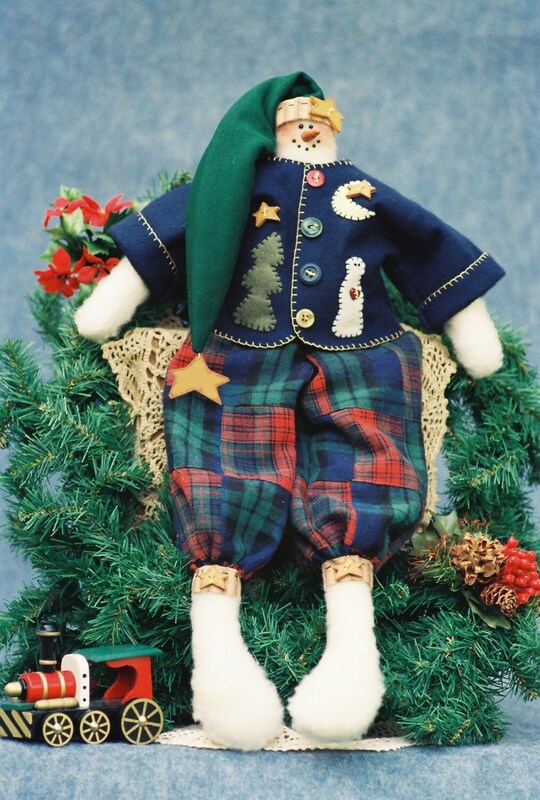 A great home holiday décor piece or doll for Christmas craft fairs. PDF includes easy to follow instructions, doll pattern, clothing pattern and complete suggested materials list with photo.